Despite the largely unsubstantiated hype, it’s a fairly simple formula, comprised of 3 ingredients. 1. Chitosan: derived from the shells of crustaceans, chitosan has been marketed in the supplement industry as a “fat blocker” for several years. Alas, clinical evidence has not been kind to chitosan, with most studies showing it has either none, or only minimal effects on weight loss. (see Int J Obes Relat Metab Disord. 2004 Sep;28(9):1149-56, Cochrane Database Syst Rev. 2005 Jul 20;(3):CD00389, Singapore Med J. 2001 Jan;42(1):6-102, J Am Coll Nutr. 2006 Oct;25(5):389-94). If it has any benefits at all, it is for lowering blood lipid profiles — a valuable attribute to be sure, but not one that justifies any of the claims made about this product. 2. Phaseolus Vulgaris: Also known as white kidney bean, phaseolus vulgaris is included in diet products for its “carb blocking” ability. 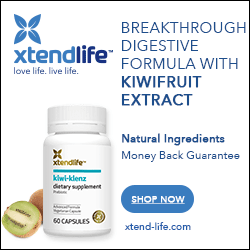 Supposedly white kidney bean extract interferes with the action of the enzyme amylase, which is required for the proper digestion of carbohydrates. In theory, white kidney bean extract prevents amylase from converting carbohydrates into sugar, thus effectively “blocking” a portion of those carbohydrate calories from inevitably being converted into fat and being deposited on your waistline. 3. Glucomannan: Glucomannan is an unabsorbable polysaccharide derived from the konjac root (in other words, it’s a fiber source). There also appears to be some preliminary evidence that 1 gram of glucomannan, taken with 8 oz. of water one hour prior to meals, has a significant influence on weight loss — one study showed almost 6 pounds of fat lost in two months — with no changes in eating habits. (See Int J Obes. 1984;8(4):289-93., Diabetes Care. 1999 Jun;22(6):913-9., Minerva Med. 1992 Mar;83(3):135-9). As we can see, the study I referenced showed a loss of almost 6 pounds of weight in 8 weeks. 8 weeks is not the same as a “few” weeks, in my opinion. In short, glucomannan appears to be helpful for weight loss, but its effects are not nearly as dramatic as most retailers would like you to think. It’s also important to note that this study was performed with 1 gram (1,000 mg) of glucomannan per serving — Lipo Seduction 2250 only contains 750mg. As you can see, a few of the ingredients in Lipo Seduction 2500 show some initial, promising results for weight loss, but they are hardly any sort of weight loss “home run.” Overall, it’s not a very strong or potent product. Arguably, Lipo Seduction seems affordable — it’s sold online for $14.95 per bottle (the retailers claim it “retails” for $44.95. Where exactly, does it sell for this? That’s what I’d like to know. Because from what I can tell, this product is only sold online). Nonetheless, I’m extremely wary of products sold online by companies that are coy about revealing detailed contact information, customer service and satisfaction policies, billing policies, etc. Should you be unhappy with your purchase or run into billing issues, you have very little recourse without company information and an accompanying physical address. While I have not received any negative feedback about this product, the company that makes it, Orovo, LLC has an “F” rating from the BBB. ‘Nuff said. Anyone had any experiences with this product? Please use the link below to contact us and let us know!